This is a set of free printable Notebooking cover sheets. 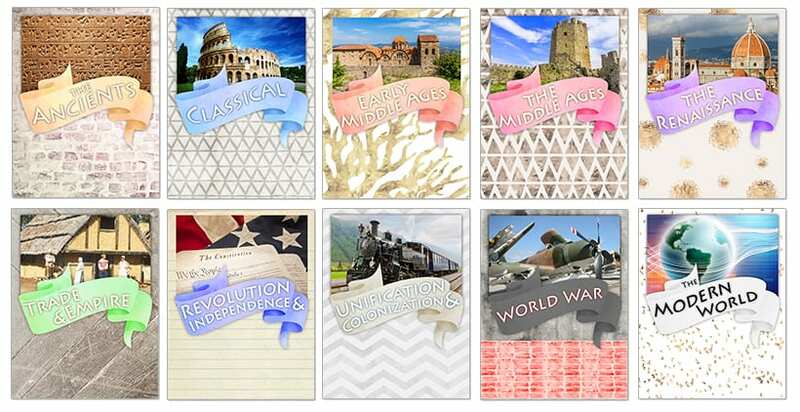 I created these for children to use as time period dividers for History notebooks. This set coordinates with The Kingfisher’s Encyclopedia of World History so you can easily provide children with blank notebooking pages to help them build their own timeline notebook. Additionally you could use these within a three ring binder as dividers or as covers for a spiral bound notebook. For information on binding your own notebooks check out this photo tutorial. 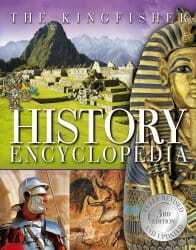 Each section includes biographies of important people and key features on the art, architecture, and technology of the period. No more hunting and pecking all over the internet for incomplete or un-vetted information. With 3,500 indexed references and more than 2,000 full-color illustrations, photographs, and source materials, as well as research-friendly back matter and index, this encyclopedia provides a beautiful, authoritative reference that is essential for any home, school, or library.